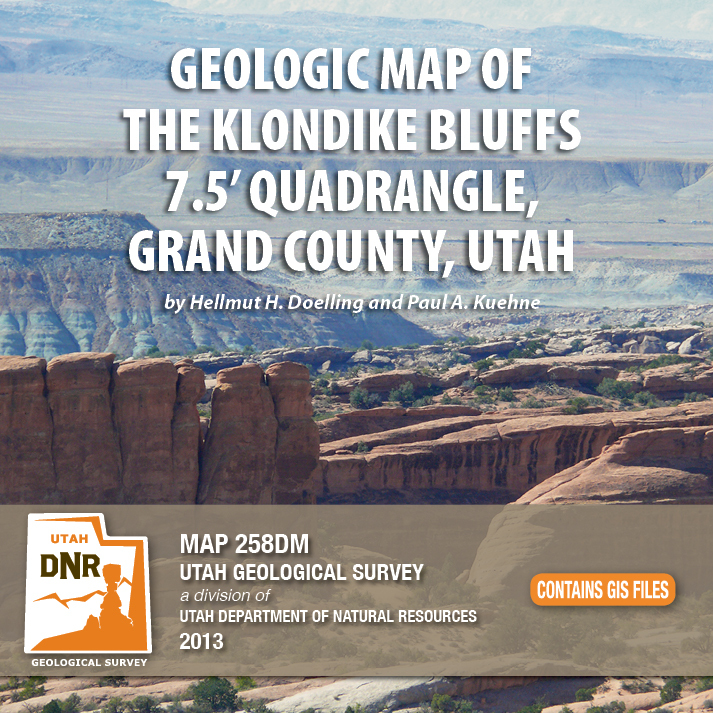 The Klondike Bluffs 7.5′ quadrangle covers a large part of Arches National Park and encompasses colorful bedrock strata ranging in age from Pennsylvania Paradox Formation to Cretaceous Mancos Shale. Salt diapirs are common throughout the area, and the Salt-Cache Valley Salt Structure is the most prominent structure, with several additional salt structures present, including the Salt Wash and Courthouse synclines and the Elephant Butte folds. Scenic resources in the area showcase joints, fins, grabens above salt wells, and the highest concentration of arches in the world. 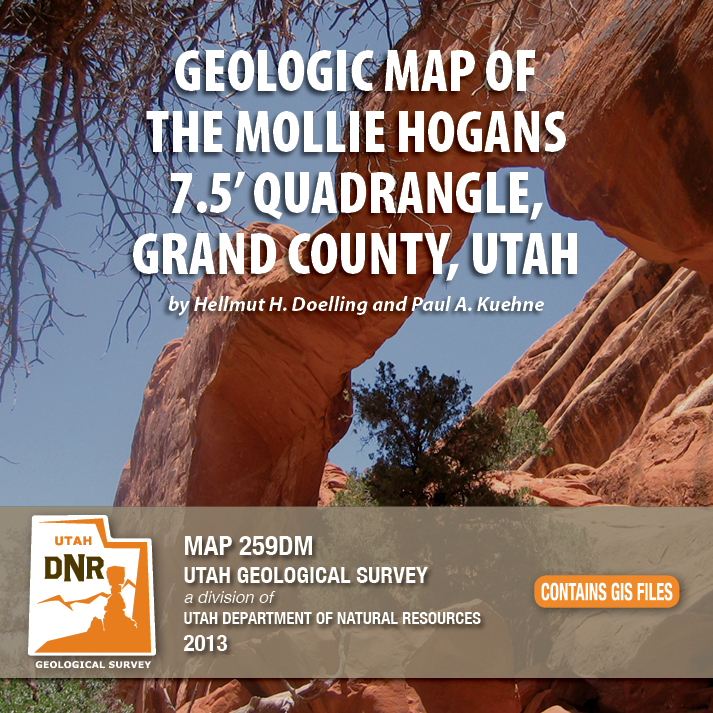 The Mollie Hogans 7.5′ quadrangle covers a large part of Arches National Park and encompasses colorful bedrock strata ranging in age from Pennsylvanian Paradox Formation to Cretaceous Mancos Shale. Salt diapirs are common throughout the area, and the Salt-Cache Valley Salt Structure is the most prominent structure, with several additional salt structures present, including the Salt Wash and Courthouse synclines and the Elephant Butte folds. Scenic resources in the area showcase joints, fins, grabens above salt walls, and the highest concentration of arches in the world. 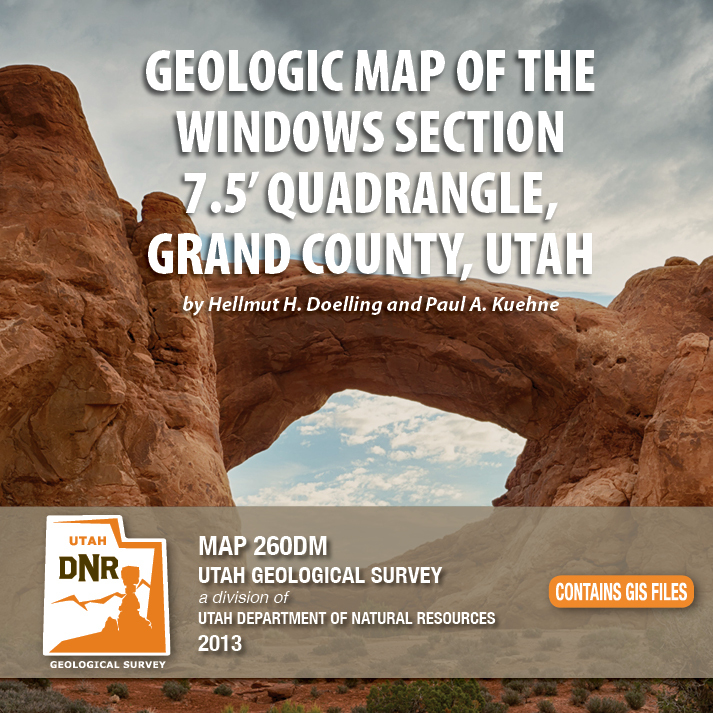 The Windows Section 7.5′ quadrangle covers a large part of Arches National Park and encompasses colorful bedrock strata ranging in age from Pennsylvanian Paradox Formation to Cretaceous Mancos Shale. Salt diapirs are common throughout the area, and the Salt-Cache Valley Salt Structure is the most prominent structure, with several additional salt structures present, including the Salt Wash and Courthouse synclines and the Elephant Butte folds. A one-mile-wide zone of faults is located in the Windows Section northeast of the Moab fault. Scenic resources in the area showcase joints, fins, grabens above salt walls, and the highest concentration of arches in the world.